Try scorer George Wood makes good ground for Phoenix against Wath. League leaders Doncaster Phoenix surged to a crushing 64-7 home victory over Wath on Dearne in Yorkshire One. Dave Hankinson led the onslaught with three tries and seven conversions as the home side proved too strong for their local rivals. George Wood opened the scoring early for Doncaster before Craig Deakin and Hankinson added two more before the break. Adam Kettle scored at the start of the second half before Ryan Peacey and Andy Ellis helped Phoenix to pull clear. Josh Fowler added two from the wing before Hankinson went over twice late on to complete his hat trick. Wheatley Hills went down 48-13 to Ilkley in North One East. Fly-half Josh Kimber got the ball rolling for the West Yorkshire side with an early try before winger Paul Petchey followed up with a second that was converted by Kimber. Hills’ stand-off Owen Gillvray kicked a penalty but winger JH Johnson raced away for Ilkley’s third. A pushover try from a lineout saw Wheatley close the gap to 17-8 but a second converted try from Kimber just before half time saw Ilkley regain the initiative. In the second half Petchey added his second but Wheatley back row Josh Craswell crashed over mid-way through the half to close the gap. But home centre Alistair Monks went over for a try converted by Kimber and Ben Magee capped a good 75-yard move in the final minute. 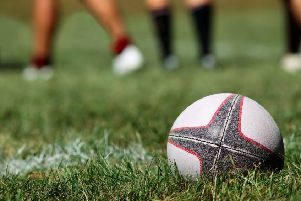 Prop Aiden Smith scored a hat trick as Thornensians chalked up a comfortable 47-12 win at Aireborough in Yorkshire Three. There were also tries for Ryan Pilley and two each for captain Brent Hunt and winger Luke Marsden. Scrum-half Josh Walker also kicked three conversions and a penalty. In Yorkshire Five, Rossington Hornets battled well but narrowly lost 7-13 to local rivals Rotherham Clifton.